Arsenal Ladies FC were formed in 1987 by Vic Akers, who enjoyed a 22-year stint as manager of the club prior to moving upstairs to a general manager role in 2009. Vic now assumes the role of Honorary President of Arsenal Ladies. Under Akers, the Gunners collected a stunning 33 major trophies - including a domestic and European quadruple in 2007. His total haul included a UEFA Women’s Cup, three domestic trebles, 12 Premier League titles, 10 FA Cups and 10 League Cups. It was a remarkable set of achievements that cemented Arsenal Ladies as the foremost women’s football club in this country. At present the Ladies have won 46 trophies in their 30-year history. None of this could have happened without the outstanding backing and support of Arsenal Football Club itself. In 2014, former player and development manager Clare Wheatley was offered the General Manager's role after 18 years at the club. Clare oversees a staff of 10, who all work solely to develop and co-ordinate the club’s female side. Arsenal’s most decorated year was 2006/07 season when they secured the historic quadruple to mark their 20th anniversary. The Ladies became the first British team to win the UEFA Women’s Cup, beating Swedish side Umea 1-0 over a two-legged final. 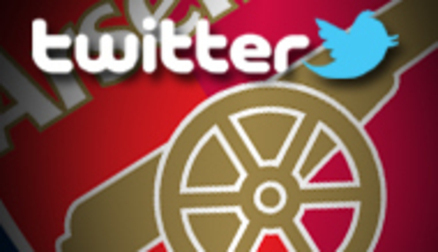 The 2011 season was a groundbreaking one for the Gunners, and for the women’s game in general. It was the inaugural year of the Women’s Super League (WSL), which Arsenal Ladies won after fighting out a close battle with Birmingham City and perennial rivals Everton. There was further success in 2012 when the Ladies won the WSL yet again and the Continental Cup for the third time in three years in 2013. They then added the FA Cup twice consecutively in 2013 and 2014. The Gunners then won the Continental Cup in 2015 in Pedro Martinez Losa's first full season, which also marked a decade of success. Most recently, Arsenal Ladies secured the Women's FA Cup at Wembley in May 2016. 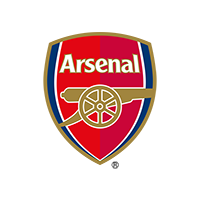 As well as the first team, Arsenal Ladies also comprises a reserve side and teams at under-17, under-15, under-13, under-12, under-11, under-10 and under-9 levels. All the latest news on the Team and the players!